A fun and educational series with bright illustrations to help children learn numbers 1-10 and letters A-Z. Children will love following the shiny foil dots with their finger to learn the formation of numbers and letters. Illustrated by Gina Lorena Maldonado. 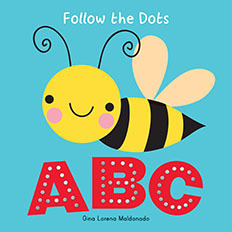 A fun and educational book with bright illustrations to help children learn letters A-Z. Follow the shiny foil dots with your finger to learn the shape of the letters. 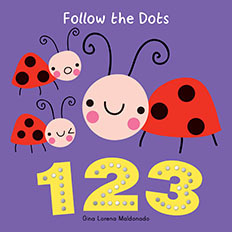 A fun and educational book with bright illustrations to help children learn numbers 1-10. Follow the shiny foil dots with your finger to learn the shape of the numbers.